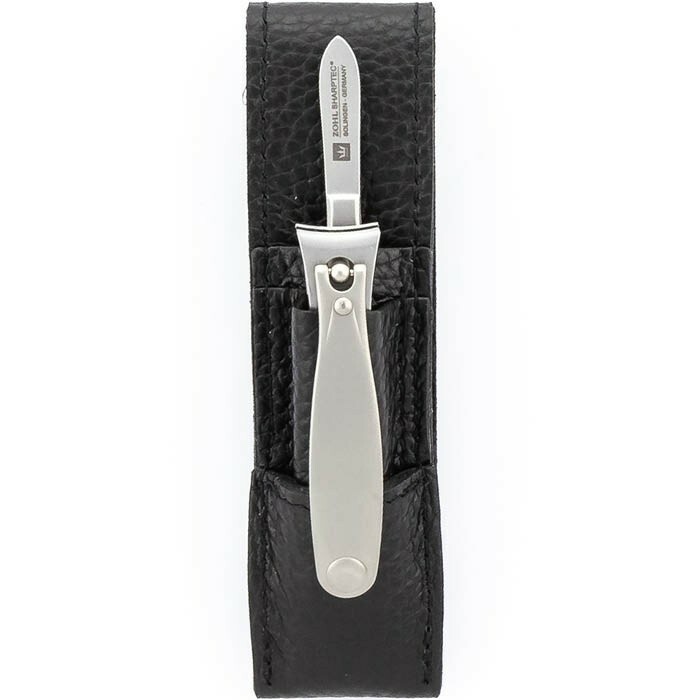 Compact on the outside and superior on the inside, the luxury Solingen clippers set Magneto is a treasure for your essential grooming regimen. 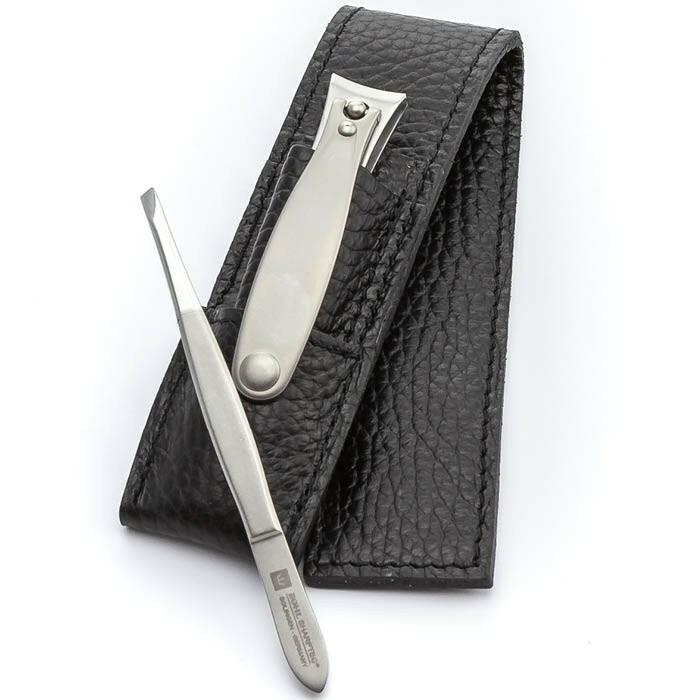 Complete with the world's best nail clippers and eyebrow tweezers, it offers essential German made tools to take care of your nails and facial hair in the professional manner. 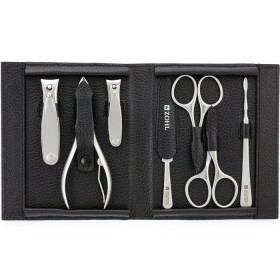 The set is hand crafted from surgical stainless steel in Solingen (Germany) by master craftsmen who skilfully hone each individual blade to ensure maximum precision and long lasting durability of the edge. 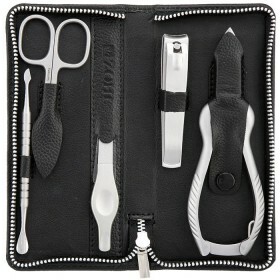 The clippers feature a perfectly sharpened mouth which works excellently on fingernails. 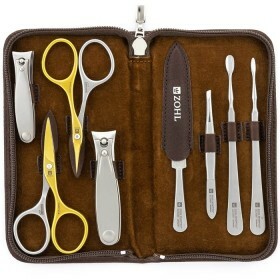 The tweezers are slanted for the most accurate plucking of eyebrows and unwanted bodily hairs, unmistakably grabbing the tiniest of them. 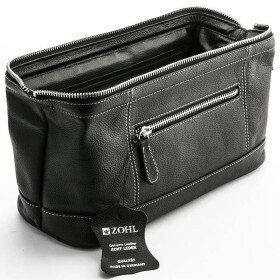 The tools are handsomely presented in individual pockets of the luxury leather case with a sturdy magnetic closure, making the Magneto an ideal handbag or travel set when the highest German quality is a must. 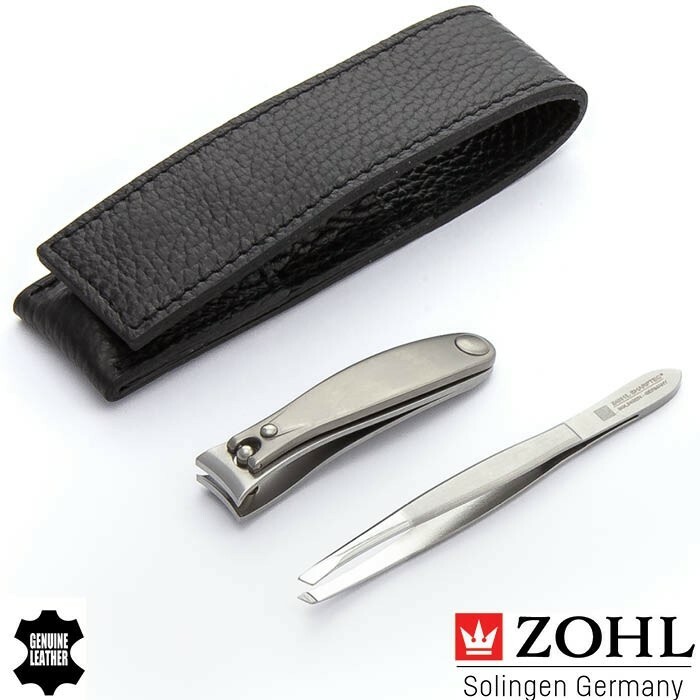 It is well known that the best nail clippers and eyebrow tweezers are crafted in the German city of Solingen – the motherland of the world's best manicure and pedicure sets, knives and other cutlery. Solingen craftsmanship has been the synonym of high durability, precision and long lasting sharpness for centuries, and til today the “Qualitat. 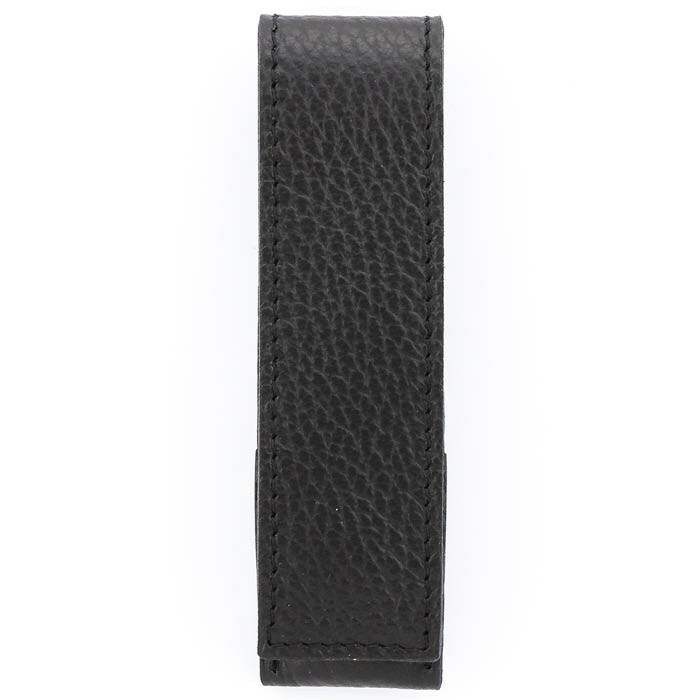 Made in Solingen” label is carefully protected by the German Government. 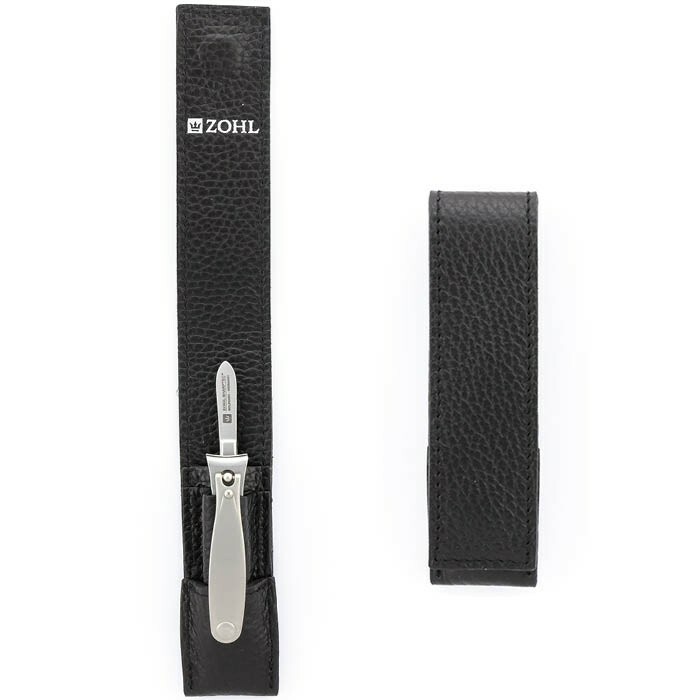 The Magneto set by ZOHL is 100% Solingen by nature: all manufacturing stages, carried in Solingen, ensure the set will delight with amazing performance for decades ahead, without any need of sharpening. 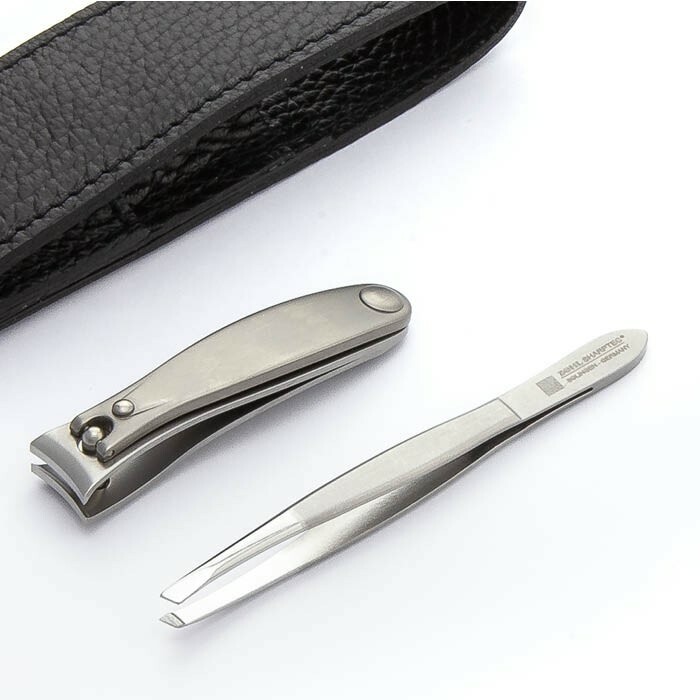 Specially hardened stainless steel retains the edge in all SHARPtec instruments for a lot longer than conventional manicure instruments, therefore you will enjoy a clean cut and unmistakable eyebrow plucking, time after time. 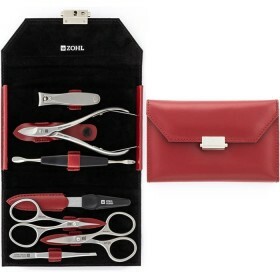 The instruments nestle in the luxury leather case made of premium cowhide with a magnetic closure, making it a perfect compact set for a bathroom drawer or a travel kit to keep your nails and eyebrows in tip top shape. 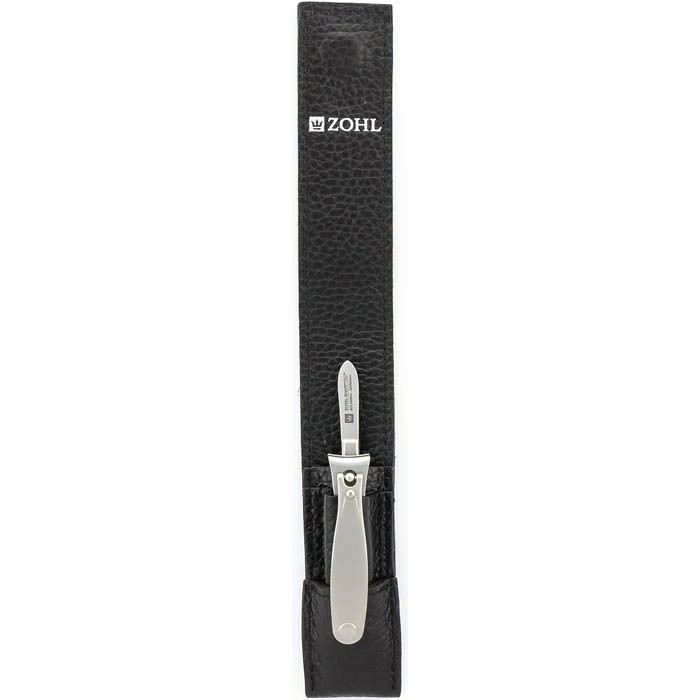 Professional Slant Eyebrow Tweezers (9 cm) – the highest quality tweezers with flat tips for precision plucking.